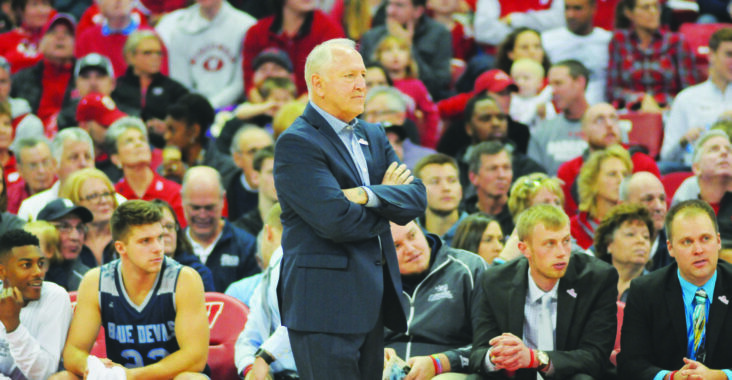 Earlier this year, it was announced that two of University of Wisconsin–Stout’s best coaches, men’s basketball head coach Eddie Andrist and women’s basketball head coach Mark Thomas, would be leaving after this season was over. Andrist has been a head coach at Stout for 18 years and five as an assistant, amassing a 211-239 record. Andrist, who has put in lots of time and tireless effort into the men’s basketball program, will certainly be missed by other coaches and, of course, by his players. 21 players were named to the All-Wisconsin Intercollegiate Athletic Conference team during Andrist’s time as coach. We are also saying goodbye to women’s basketball head coach Mark Thomas. 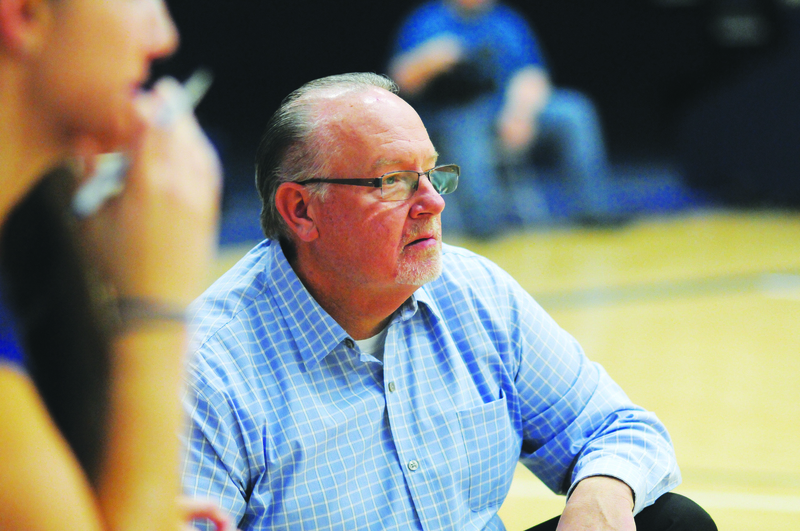 Thomas has been coaching at Stout for 32 years, but not just as the head coach of the women’s team. He’s also worked as an assistant football coach for 27 years, 20 plus years as a assistant baseball coach and two years as an assistant softball coach. During his time as head coach of the women’s team, Thomas has amassed a record of 472-346. He has also been named WIAC coach of the year six times and won four WIAC championship tournaments and five WIAC titles. Teams coached by Thomas are responsible for 88.3 percent of Stout’s total victories. Thomas will be leaving behind a large legacy and a lot of memories and moments. “My most favorable [memory] would be the people that I have had the pleasure to work with, coach and mentor through their college experience. Add to that the number of people across the nation that I have had the opportunity to meet, get to know and interact with creates such a great network,” said Thomas. As for memorable moments, Thomas said that it was hard to pick out just one, but some that jumped out were the first women’s team conference championship ever at Stout in 1997, winning three championships in a row in 2005, 2006, 2007, helping coach the first ever baseball team to make it to the College World Series, and all the amazing team trips as well.